What is the biggest pit fall that ladies tell me about again and again? Getting off course with their eating habits. My grandmother always said, “If you fail to plan, you plan to fail.”. Willpower is a wonderful thing, but temptation if a fact of life. Planning your meals for the day, just 24 hours in advance or more, can really help you stay on track. I know there are a lot of gurus and sites out there that charge a lot of money for meal plans. Not everyone can afford that so, let me share some great free resources with you. 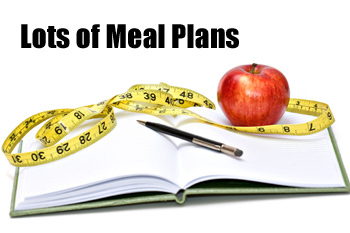 BWLW’s 4 Week Free Meal Plans – We have a Clean Eating Plan and Vegetarian Plan. Swole.me is a great free site where you can put together your own custom meal plan from some very simple options and food combinations. Calories and nutrient counts are provided as well. Clean Eating Magazine has a large collection of free meal plans on their site. Lots of variety. Low Carb Day of Eating – There are great articles all over the web like this one from PopSugar with recipes for one day of healthy eating. Seek them out for recipes and options. Eating Well Magazine has a great collection of plans including a 7 day, 1200 a day plan with recipes. BOOKS: There are also a ton of books with detailed meal plans and recipes that you can get for 25 bucks or less. My point is that if you are willing to put in some time to search online, you are sure to find plans and recipes to help you put together a way of eating that helps you lose as well as delights your taste buds. No excuses. Determine how far in advance you want plan – Whether plan your meals 1 day in advance or 5, it is up to you. You can plan for eating out by checking nutrition information online ahead of time. 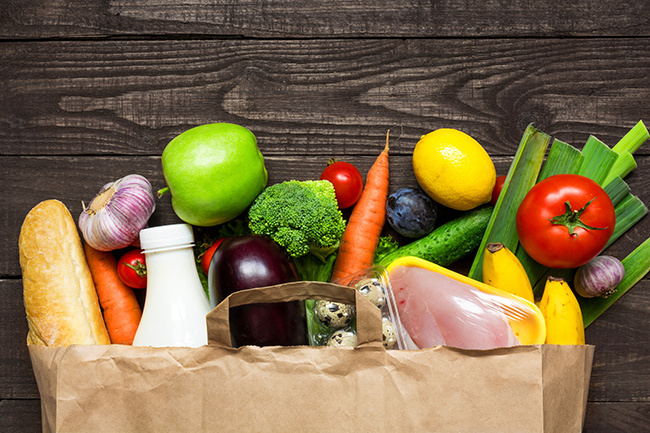 Package and Freeze – You can cook and refrigerate things like lean proteins, rice and steamed veggies in advance. Cut up veggies and prep fruit in sandwich bags or cup size containers for snacking. You can also cook whole meals to grab and go, it’s just a matter of how you package and freeze them to last. Make a Shopping List to go with your plan – Make your plan before shopping at the store so that you don’t buy foods that you shouldn’t have. You will ensure that you have all the healthy food you need on hand at home. Track Your Calories and Marco-nutrients – You can be sure of how many calories and nutrients you’re eating if you combine meal planning with tracking your foods on an app like My Fitness Pal or Lose it. Don’t know how much you should be eating? Here’s more info on how to figure out how much food you should be eating to support weight loss. There is a whole list here on the page. I want the free meal plans. Check out the list of free meal plans above. I would like to get the meal plan. Are you continuing with the 3 day meatless plan? Hi, Are you asking if you are going to change it or if it’s still available? Hi I would like the free meal plan. Click on any of the links above to view the free meal plans.